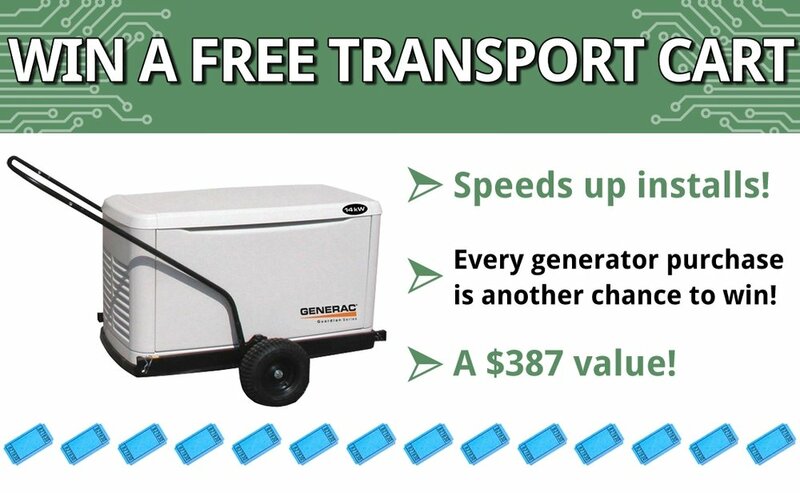 Generator Transport Cart Giveaway — Wholesale Backup Generators for Dealers | Rochester, NY | Better Power, Inc.
Every permanent standby generator you purchase will earn you ONE chance to win a FREE Generator Transport Cart. For each purchase, we'll add another raffle ticket with your name on it into the drawing. NO LIMIT! Every backup generator purchase is another chance to win! The drawing will be held on January 31, 2017.